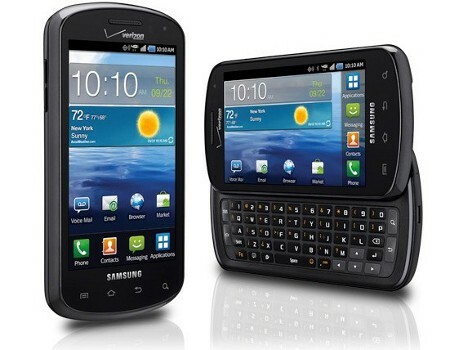 Verizon wants to bring you to the upper echelons of the smartphone world with the introduction of their latest device, the Samsung Stratosphere. This particular smartphone is part of the Samsung Galaxy S family, where it will be made available online as well as at brick-and-mortar stores from October 13th onwards. Being slim in nature, this is also touted to be the first 4G LTE smartphone that hails from Verizon Wireless’ stable that will sport a 5-row QWERTY keyboard for quick and easy messaging. Specially designed to please your eyes from all angles, the Samsung Stratosphere will feature Samsungs very own 4″ Super AMOLED display in addition to B2B-enabled connectivity services from Cisco, Microsoft Exchange ActiveSync support as well as playing nice with secure remote device management from Sybase. The Samsung Stratosphere clearly has the business professional in its sights, thanks to robust data management support. For those who wonder whether it has what it takes to be a multimedia powerhouse, read on after the jump. Google’s Android 2.3 Gingerbread is the operating system of choice, and with this bit of information, you can be sure that it will boast support for Google Mobile Services such as Gmail, YouTube, Google Talk, Google Search, and Google Maps – not to mention being able to enjoy plenty of apps from the Android Market. Other hardware specifications include a 1.3-megapixel camera in the front, a 5-megapixel camera at the back that does HD recording too, Mobile Hotspot Capability and DLNA connectivity. If you do not want to waste bandwidth on a 4G connection, then there is always Wi-Fi to back you up.